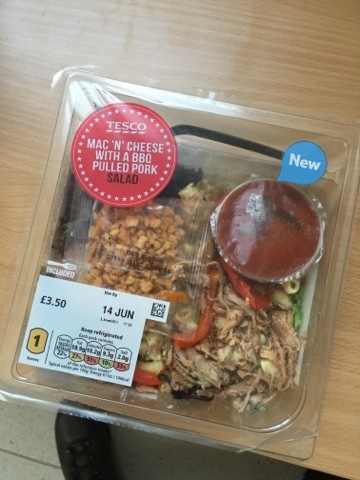 Tesco keep expanding my lunch options - and while this can cause my wallet to cry, this £3.50 option was worth it. Here we have a tub full of everything. 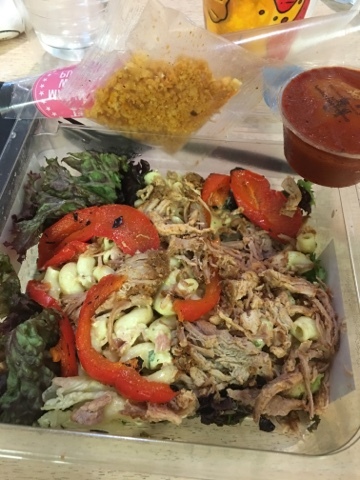 It has pork, crispy bits, pasta, cheese, and of course a mixed salad, and BBQ sauce! I happened to eat this on a day when I wasn't really into food and it totally turned me around and I finished it with ease. Lots of textures and flavours to go round and one I'll be having on a regular basis.